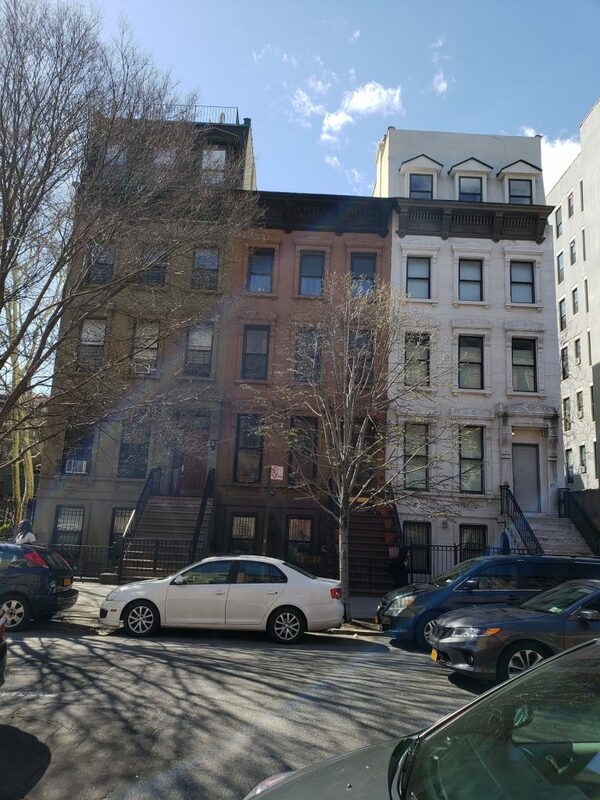 2080-2084 Fifth Avenue are a trio of brownstones developed as a single row. They presumably would have included the now-demolished Collyer House at the corner, and whatever stood at what is at present a vacant lot at 2086 Fifth Avenue. At some point 2080 and 2084 gained mansard roofs; 2084 also gained a rather unfortunate coating of white paint. Otherwise the row is more or less intact.